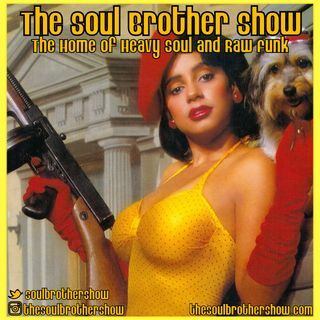 Welcome to The Soul Brother Show - The Home of Heavy Soul and Raw Funk! Hosted by Mr. Chris, this is an online radio show/podcast that caters to real music from the perspective of a real music lover. There\'s a plethora of good music and great interviews with some of your favorite artists such as Militia Vox, Maya Azucena, the Suffers, and En Vogue to name a few. It's always a stone jam on The Soul Brother Show and you never know who will drop in for an in-depth interview. Keep it ... See More locked to one of the hottest podcasts on the planet! The Soul Brother Show - The Home of Heavy Soul and Raw Funk can now be heard every Friday from 2-5am and 7-10pm on KPFT 90.1 FM and KPFT HD3.